We build foundations for success. Family, school, and community — the building blocks of every child’s life — are central to everything we do. With a strong foundation, the entire family can thrive and enjoy life. Using the Applied Behavior Analysis (ABA) approach, we provide families with comprehensive support tailored to the unique needs of their child and family. ABA uses a variety of assessments to develop a treatment plan that utilizes scientifically-validated teaching methods and techniques uniquely designed to enhance the life of the individual and bring out positive change in behavior. ABA focuses on language and communication skills, attention, focus, social skills, memory, and school work to achieve socially-important goals. We offer a multi-faceted approach to therapy that addresses the whole self. While some may view ABA as being structured and rigid, we personalize it to meet you and your child’s needs. According to the Behavior Analyst Certification Board, Behavior Analysis is the scientific study of principles of learning and behavior. Our approach to in-home therapy uses a combination of Structured Teaching and Natural Environment Teaching (NET). We provide a balance between structured learning opportunities and learning in the natural environment. At Roots, we find combining both approaches brings about the most success. Structured Teaching occurs in a controlled setting with specific goals and targeted skills being taught during learning time. NET utilizes the principles of Applied Behavior Analysis to teach in the natural environment. During this time, therapists are working to teach your child within the context of the natural environment. Instruction is focused during play and naturally occurring events. The cornerstone to your child’s growth is a balanced, happy home life. This requires a team effort from parents, siblings and caretakers. We work closely with all the immediate members to ensure everyone is confident in their roles and skills. We focus on relevant daily living skills and behaviors for home. Along with engaged play, socialization, and academics, we help your child learn to function independently to the greatest extent possible within their community. 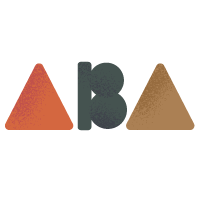 We believe that providing ABA in the community, when appropriate, is an integral part of increasing your child’s ability to live a fulfilling and independent life. Understanding the school system can be daunting. We are there to support you throughout the whole process. The IEP is an annual plan that guides the educational services for children with disabilities with the goal of continual movement toward the least restrictive environment. After your child completes a comprehensive evaluation, the school district develops an IEP. The IEP team consists of those who developed the IEP and the parents or caregiver. At the parent’s request, we can be a part of the team. Roots advocates for the child and family by assisting with the evaluation, going to IEP meetings and providing consulting services. SCHEDULE A CONSULTATION TO LEARN MORE ABOUT OUR PROCESS FOR CREATING PROGRAMS SPECIALLY DESIGNED FOR EACH CHILD AND FAMILY.